What is the difference between a good haircut and a bad haircut? More than you may imagine! 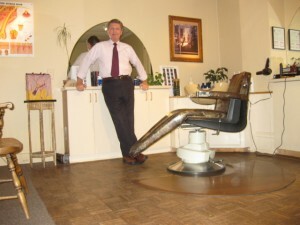 I’m Dave Daunais, and as a barber/stylist for more than 30 years, I’ve helped men look their best. For you to have a great haircut, I consider the facial features, hair texture and thickness, professional and social considerations, and most importantly, your own personal feelings about how you want to look. Great looking hair can make or break your confidence. This is what a precision haircut does. Don’t waste your looks on vacuum-controlled corporate cut drive-throughs. Contact us to make an appointment today!